This week Strands of Thought is host to Madison Lawton from Ghost of Pine Mountain: The Adventures of Max and Maddie. Madison, it’s so good of you to join us on Strands of Thought. Tell us a little about yourself and what your life is like. Hi! I'm Madison Kathleen Lawton. My friends call me Maddie (Max calls me Madds), so you can, too! I live with my mom, dad, older brother, and best dog in the whole world, Dawg. Yes, I named him Dawg. He was a stray who kept hanging around our house because…well, because I kept feeding him and giving him water and patting his head. "Hey, dog, watcha doing? Yes, you're a good dog. Here's a juicy, leftover chicken leg." Any questions why he stayed? I'm going into eighth grade in the fall, along with my best friend, Max. I'm not the most popular girl in school, but I've had most of my friends since kindergarten. I enjoy a competitive game of softball and do a fantastic job warming the bench on the middle school basketball team. I struggle for B's while Max barely cracks a book for A's, which drives me crazy! I'm pretty fussy about my appearance and LOVE shoes! Unfortunately, our family finances only allow for the occasional purchase, so I make it count with one fabulous pair of sandals in the summer. In other words, I'm a pretty normal thirteen-year-old. At least I was until Max and I discovered a secret at the Pine Mountain Gold Museum on our first day of summer vacation. Maxwell Jason Thomas and I share the exact same birth date, with the huge exception that I am two hours and thirteen minutes older. A fact I never…okay, always hold over his head. Hey, a girl's gotta do what a girl's gotta do. Our families have lived in West Georgia–Villa Rica, to be exact–through several generations, and we've been friends as far back as I can remember. Long before celebrating our February birthdays–the first as teenagers–we fought, laughed, and explored any animal (dead or alive), vegetable, and mineral that dared cross our paths. Max loves science, astronomy, geology, and anything that squirms, slithers, or crawls. He knows the name of every constellation, so I wouldn't count him out being the first man on Mars. I'm not sure why we've never gravitated toward the boyfriend-girlfriend trap; maybe it's because we've forever considered ourselves brother and sister–again, my being the much older sister. Whenever Max feels the need to re-enforce the specifics of our relationship, he'll announce, "You're okay, but red hair and freckles will never be my thing." What really bothers me is when friends make fun of the fact that I haven't exactly "developed" at the rate of most girls in my (soon-to-be) eight-grade class, like Brianna Ashley or Cassandra Morton. For the most part, Max knows to avoid the subject, although he did, once, in front of a large group of friends, I might add, compare my curves to those of his ten-year-old brother. To his credit, he quickly apologized, and promised never to go "there" again. "Sorry, Madds. I wanted to cut out my tongue." "Get in line," I'd muttered. Okay, so I'm not completely innocent, either, especially when it comes to his vertically challenged height and Dumbo ears. But, we do try to keep our teasing to a minimum, avoid personal attacks, and always, always have each other's back. Only three? Well, let's see. I love my grandmother's rhubarb pie. Yeah, yeah, I know. Teenagers aren't supposed to like rhubarb, but she adds enough sugar to keep it mildly tart, but delicious. And her piecrust is award winning, evidenced by numerous blue ribbons from the county fair. Oh, yeah, you said three, right? I love anything chocolate, and I adore pizza! I've never tried chocolate pizza, but never say never! I used to dream of being an astronaut, but since I struggle for C's in math class, I guess that's out. Ever-present motion sickness probably isn't a good trait either, huh? I can see it all, now. On my way to Mars, losing my lunch along with anything and everything I've eaten in the past two weeks. Not good. That's why I switched to Famous Author, although my dad tells me authors don't generally make a good living and that I'd better get a reliable day job. Since I will, however, be the next J. K. Rowling, I don't think that will be necessary. Besides, Max and I plan to have enough adventures to keep me writing for decades! 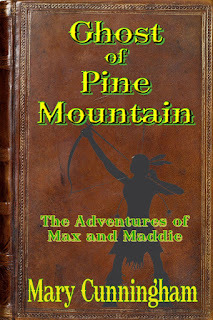 If that doesn't satisfy your curiosity about me, Maddie Lawton, check out our very first adventure: Ghost of Pine Mountain! Max and I promise to entertain! I'd make bullying against the law. Nothing leaves life-long scars like being teased and ridiculed by your peers. Oh, sure Max and I kid each other, but we both try to be careful not to hurt each other, and we would never bully anyone else. If I see someone being bullied, I try not to make a big scene and embarrass them, further, but I do go out of my way to let the bully know it's not cool. Then I try to be extra friendly and kind to the one being bullied. This usually diffuses the situation and the bully quickly loses interest. I'd also put chocolate at the top of the food pyramid. Teenagers, Max and Maddie, discover more than they bargain for during a visit to the Gold Museum where a mysterious old miner tells a fantastic tale, and then gives the pair a tarnished gold coin he claims has special time-travel powers. Along with the coin, comes a strange message. Wherever you decide to go, leave your destination a better place than a'fore you arrived. Do that, and your travels will continue. Max, eager to accept the challenge, and Maddie—more reluctantly—travel back in time only to discover they're right where they started—Pine Mountain near their West Georgia hometown…two hundred years in the past! Early 1800s miners, searching for gold on top of the mountain, and American Indian villagers, thriving alongside Sweetwater Creek, cross paths with Max and Maddie when an angry mother bear, protecting her cub, threatens the thirteen-year-old best friends. Will their first journey back in time, end with deadly consequences, or will the early settlers and natives band together to save the young time-travelers, and strengthen prospects for further adventures? Author, Mary Cunningham grew up in the sleepy little town of Corydon, Indiana; and she really means, "In town!" Her house was just beyond the main intersection that took Southern Indiana cars and trucks from north to west. That was well before I-64 zoomed traffic just north of town, so imagine the teeth-grinding sound an 18-wheeler made wheeling around the tight corner, then downshifting as they passed her house. Winter? Not so bad. Summer with the windows open? Countless sleepless nights spent sitting on the porch with her dad telling stories and learning about the constellations. After 10 years as a bank teller, followed by a horrifying stint as a travel agent and more rewarding experience teaching travel and tourism and the airline computer reservation system, she finally realized that her heart belonged to writing. Her childhood experiences, and a recurring dream about a mysterious attic, inspired her to create characters, Cynthia and Augusta Lee, for an award-winning, five-book, 'Tween series, "Cynthia's Attic." Like characters, Cynthia and Gus, Cynthia (her real childhood best friend) and Mary grew up in a small, Southern Indiana town...the setting for the series. Cunningham is also co-author of the humor-filled lifestyle book, (WOOF) Women Only Over Fifty, along with published short stories, Ghost Light, and "Cynthia's Attic" short story, Christmas With Daisy. 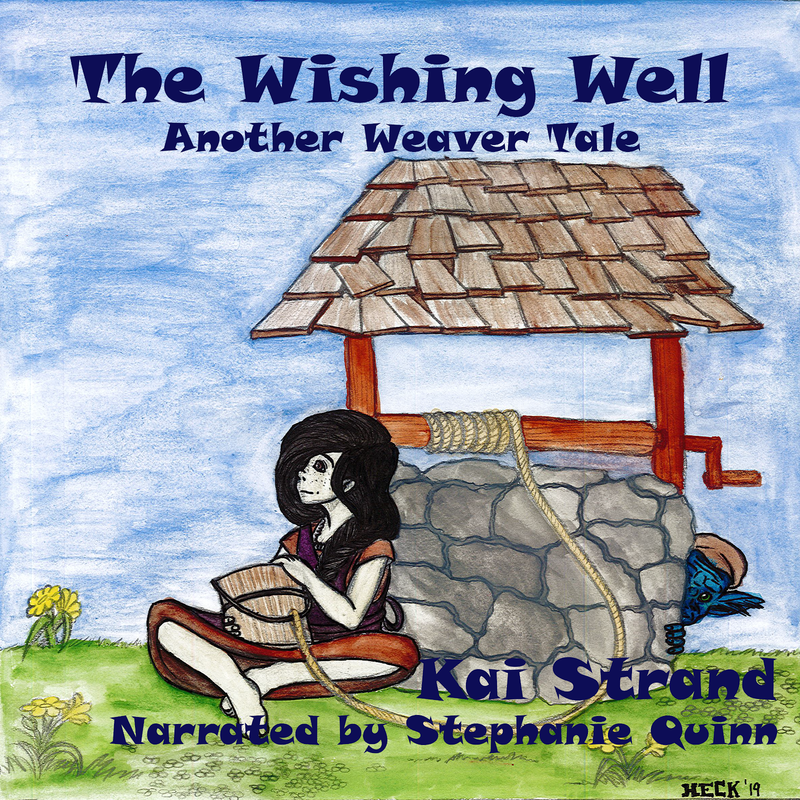 At present, she is writing a new 5-story historical/time-travel 'Tween series beginning at the Pine Mountain Gold Museum in West Georgia, and continuing throughout the United States. 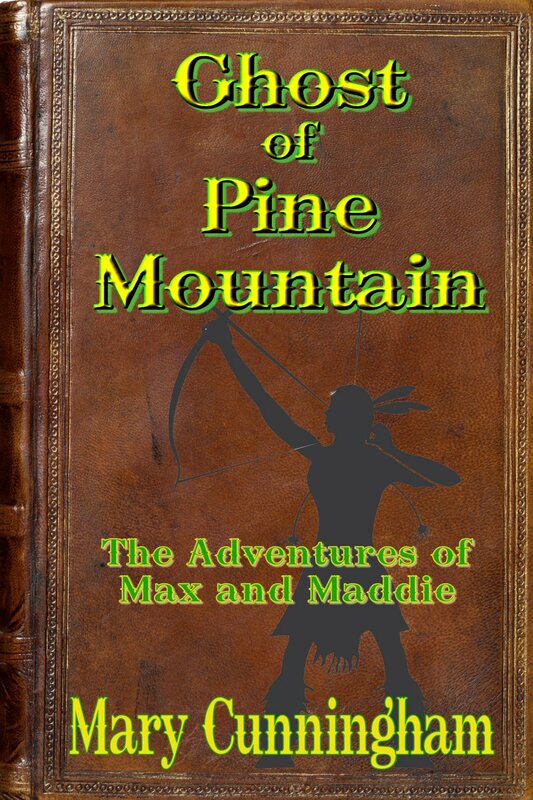 Ghost of Pine Mountain: The Adventures of Max and Maddie, has just been released on Kindle. She is a member of The Georgia Reading Association, and the Carrollton Creative Writers Club. When she gives her fingers a day away from the keyboard, she enjoys golf, swimming and exploring the mountains of West Georgia where she makes her home with her husband. Together they've raised three creative children, along with an adopted "furry" daughter named Lucy. The author spends non-writing time showing power point presentations, on gathering ideas and the writing process, to schools and libraries. My pleasure, Mary. Madison is a fun guest and her story sounds great! Thanks for letting her visit.